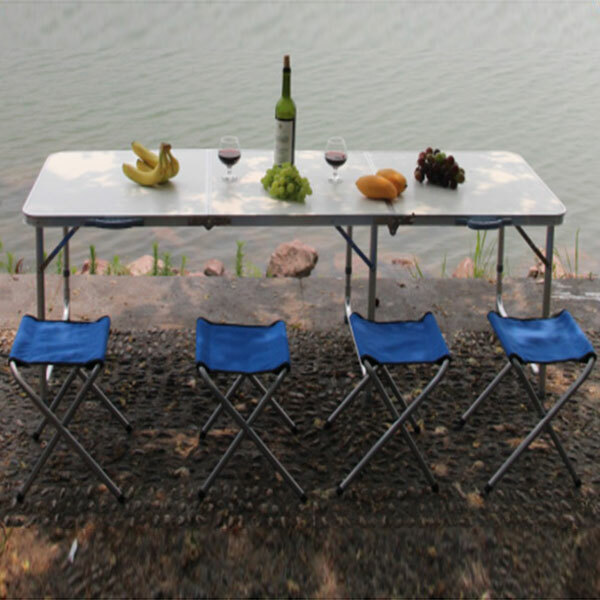 What you see is our 180 x 60 x 70cm Home Use Aluminum Alloy Folding Table, which is ideal for family reunions, picnics, camping trips, buffets or barbecues. 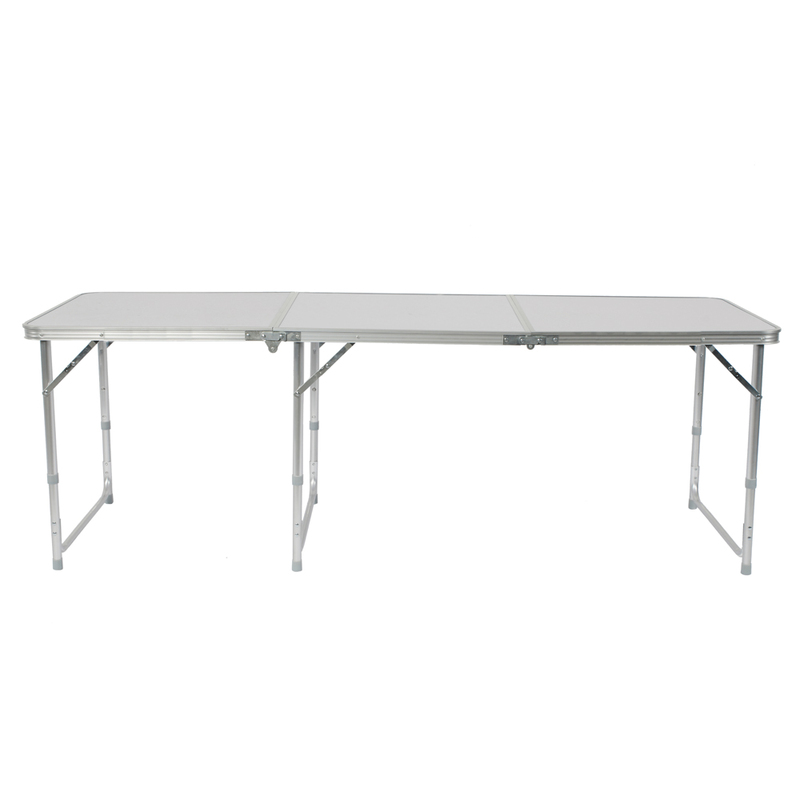 This table is great for entertaining and can be used as a serving table, game table, or outdoor dining table. 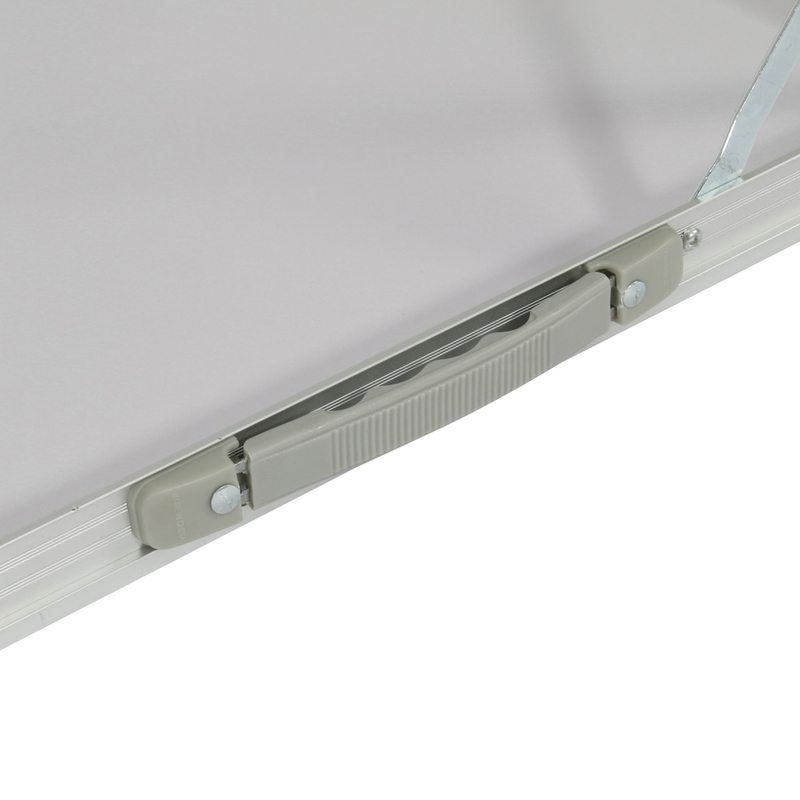 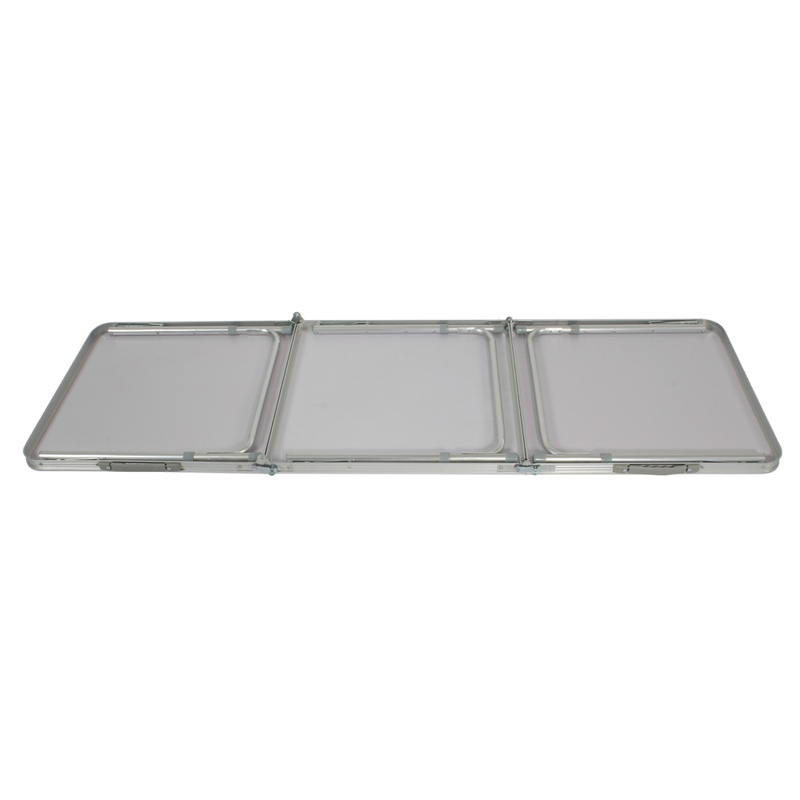 Made of high-strength aluminum alloy, it is solid and durable to use. 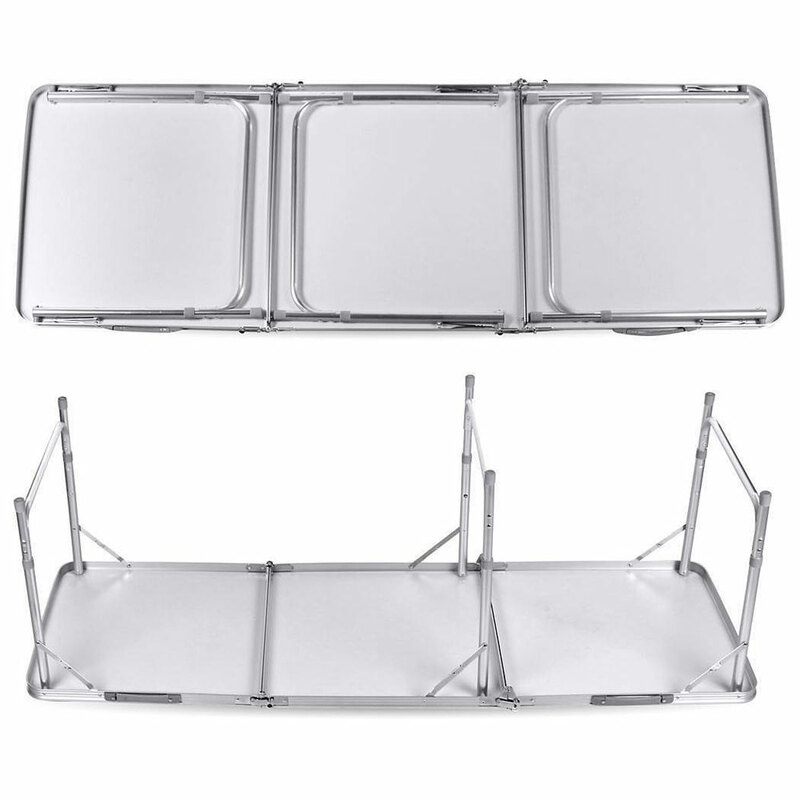 Its collapsible design makes it quite space-saving. 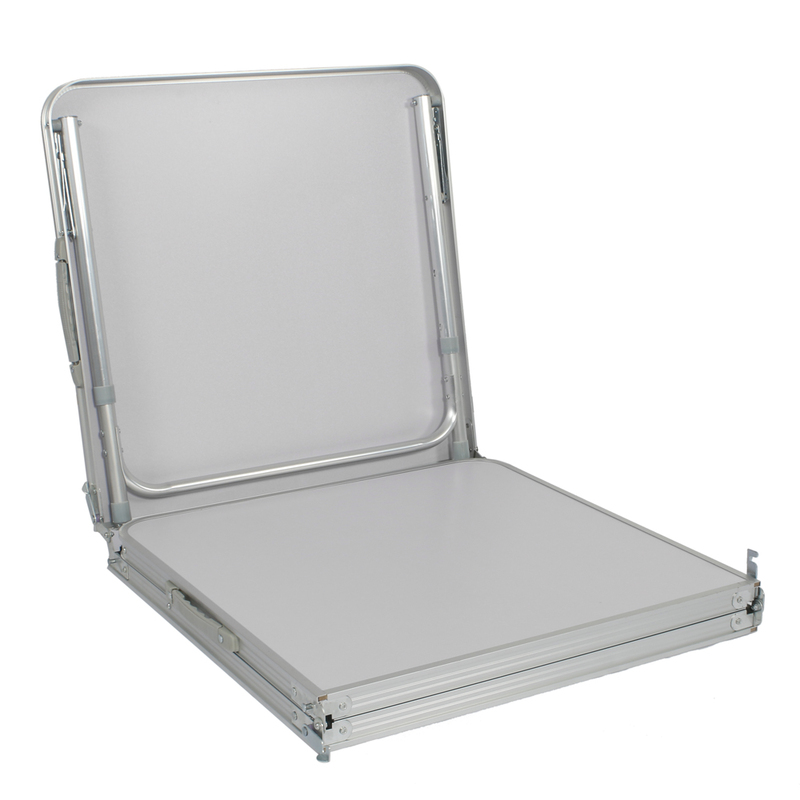 It's so easy to use, you can lift it with one hand, there are chairs inside, it's convenient to go anywhere, and it won't occupy the position in the car.